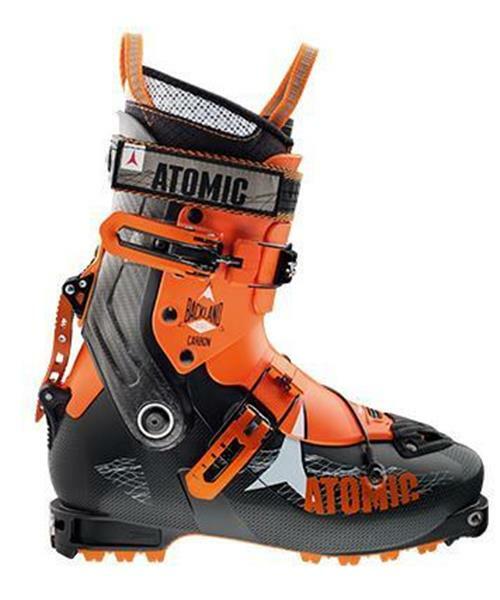 The new Atomic Backland Carbon custom boots come with a reinforced shell, a stiff tongue and a supportive liner that make them robust with serious downhill performance. The liner is also perforated on the base for great breathability. Plus the boots feature the Frictionless Pivot, Quick Click Tongue system and Free/Lock 2.0 mechanism that allow for an incredible 74° of epic natural movement. Unlike any other touring boots, Backland boots are also packed with Atomic all-mountain boot technology – like Memory Fit to make them super comfortable, and a Carbon Spine for powerful skiing. All topped of with a Cross Lace system that wraps the foot more securely than ever and a rockered sole for climbing.